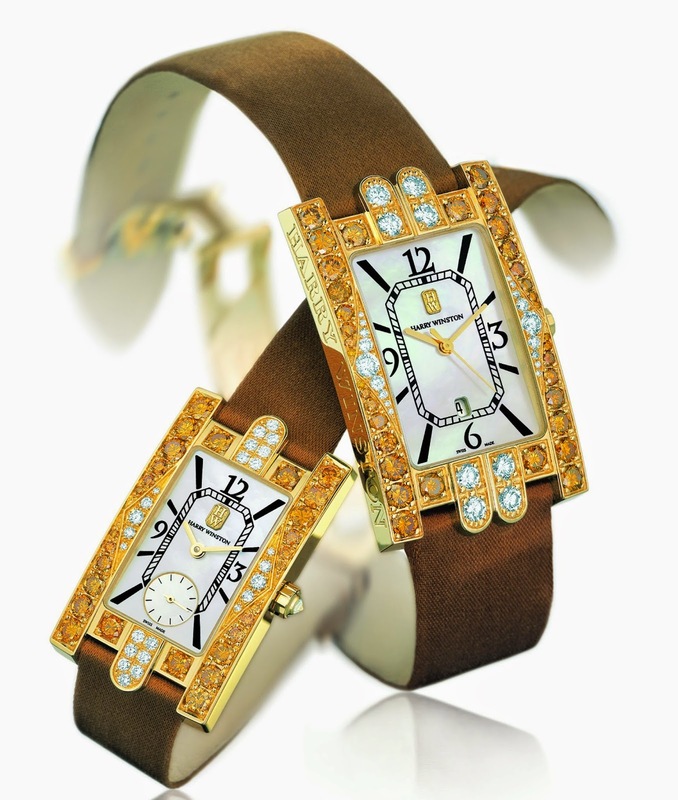 The Golden Aurora by Harry Winston is a jewellery watch designed with an eye to the contemporary woman. This model is available in a rectangular case in 750 (18K) yellow gold set with 1.55 carats of “golden” diamonds (28 diamonds) and 0.30 carats of white diamonds (25 diamonds) or a version set with 2.30 carats of golden diamonds. This quartz powered jewellery watch has a mother-of-pearl dial with hour markers and small seconds, and also available in a version with a date window at 6 o’clock. The “golden” diamonds go with the satin bracelet and emphasise the classicism that Harry Winston set out to achieve in this model.